The State Government’s investment in Australia’s biggest battery would be better spent on a wider network of storage, writes Nigel Carney. While the Weatherill Government’s much celebrated Elon Musk-inspired battery proposal has some merit in the great South Australian energy debate, simple logic and world trends point toward a much better battery and energy plan for the state. The South Australian Renewable Energy Report (AEMO December 2016) offers simple insights which may have been overlooked in the rush to create a new electricity plan for South Australia, which includes the nation’s biggest grid-connected battery. What is this battery after all? It’s simply an assembly of millions of units of lithium ion battery units in parallel. No magic bullet. In fact, the money to be invested in the battery could arguably be invested much more wisely. The government should pause momentarily to examine the state’s key strengths in the renewable energy market. It could integrate the battery proposal with a more sophisticated and broadly considered approach offering benefits across the board to South Australians, industry, and the suffering job market. Let’s take a look at the good news overlooked in the 2016 South Australian Renewable Energy Report and examine the positive opportunities that could emerge from it. 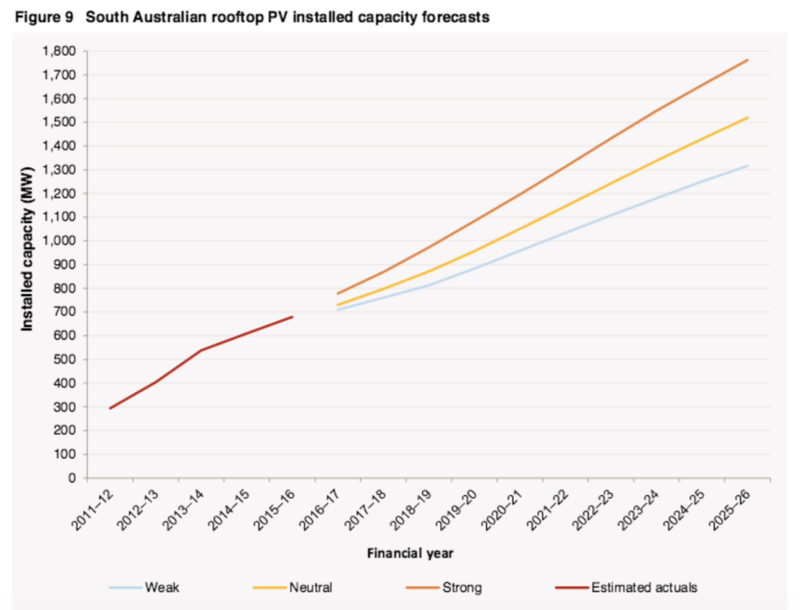 The bottom line is this: on conservative forecasts, the growth projected for SA rooftop solar will in the next six years provide the energy juice equivalent to a 700MW power station, and a robust one given that it’s essentially a “power plant” spread across the state. This trend offers a chance to end the tiresome debate with the Federal Government while lending support to the State Government’s energy autonomy aspirations – a timely correction and bookend to the tragic end of Playford era energy self-sufficiency. The state could, for example, follow well-published world trends in grid electricity management and integrate these with the state’s current competitive advantage in solar energy. Such a move could also help to stem the downward economic spiral, sadly making daily headlines. Revisiting the skeleton of the Weatherill plan, the state can anticipate spending $360 million on a new gas plant and $150 million on the super big battery. Add likely price escalations and blowouts, as history shows, and we are looking at another billion dollar program, hastily decided after the last round of blackouts. As Premier Weatherill stated at the time: “A battery could be delivered quickly, we are advised,” he said, adding that it would also be economical as it would pay for itself to some degree. ‘To some degree’ is not that specific and sounds like the recipe for another infrastructure investment disaster. The 2016 SA budget shows a meagre $300 million return on petroleum and gas from state resources, primarily sourced from the Cooper Basin. The royalty return is a mere 5 per cent which is reduced further by generous post-well offsets. The household names that control the gas supplies and will determine future electricity prices are the companies anticipating a ‘pay day’ under the current plan. Compare this to the $140 million received in revenue from expiation notices and the clear winner is… the gas industry. If a Premier of the measure of Sir Thomas Playford was still around he would be again calling the Prime Minister seeking a loan to nationalise the state’s gas to defray the current energy crisis. Failing that, what is the alternative? A quick examination of global energy trends may assist the state’s energy planners to make sense of the issues. The common thread is decentralisation of power. Jay Weatherill’s quickly announced plan does not fit with these global trends. So how can our $500 million be invested more prudently? We should support the strong trend in solar that is already evident and spread the commodity of battery power across the state. By distributing battery storage across many residents and businesses, we can reduce the risk of outages while creating an inter-network of solar-connected micro grids that will rid SA of the current risk of unreliable and wasteful transmission. For argument’s sake, let’s say an average solar rooftop PV system in Australia costs $8000. Now let’s say the Government does a bulk $150 million battery deal with Elon Musk or another battery musketeer and these grid systems come installed with battery system plus a grid connectivity option. If we invest $500 million available to rescue SA from the darkness in this project, we would have 62,500 installations ready to roll. With an election looming, let’s say Jay and Tom offered a 50/50 deal to the public including residential and business plans, thus doubling the number of 10KW installations to more than 120,000 and leading to a surge in the solar industry. One more sum for Tom’s sake: 120,000 x 10KW represents 1200 megawatts of power. That walks all over the planned gas plant and the South Australian public is not held to ransom by the gas industry. If Opposition Leader Steve Marshall threw in some steak knives it would make for a very interesting 2018 election year indeed. Play with the details, mix and match and negotiate, but however you look at this scenario, it begs the question of why the state would now place the public at the mercy of the gas industry? Jenny Paradiso from South Australian owned and operated solar PV company Suntrix would like to see both options on the table: the big battery and distributed battery systems. More rhetoric and hasty twitter decision-making may plunge South Australia back into darkness and further economic paralysis. Distributed generation is any electric generating plant located next to users. DG is not a new concept. Edison built his first commercial electric plant near Wall Street in lower Manhattan, and he recycled energy to heat surrounding buildings. DG plants employ all of the technologies that are used in central generation. DG plant capacities range from a few kilowatts to several hundred megawatts, depending on the users’ needs. is DG. 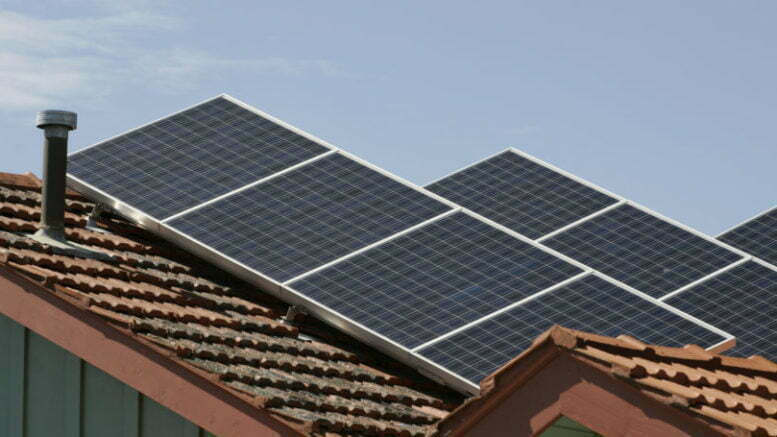 Solar photovoltaic panels on individual buildings or local windmills are distributed generation, while large hydro and wind farms are central generation requiring transmission and distribution (T&D). The AEMO report is a clear reminder of the competitive advantage that already exists in South Australia. Pandering to the gas industry is not the answer, neither is the investment only in a big battery. The answer my friends is not just blowing in the wind – it’s right above us.